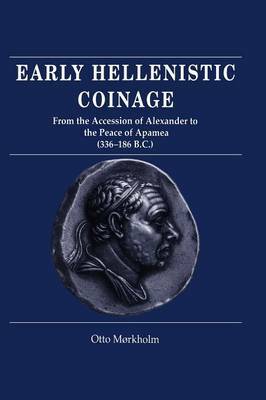 This book, first published in 1991, is a full study of early Hellenistic coinage. It provides a general history of the coinage of Alexander the Great and his successors, and of the cities of Greece and Asia Minor, over the century and a half 336-188 BC. Dr Morkholm's detailed descriptions of the coins, and the 40 pages of plates illustrating over 600 items, will provide a standard work of reference for ancient historians, numismatists and collectors. His original intention was to write a survey of Hellenistic coinage down to the Roman acquisition of Egypt in 30 BC, but he died with his project only half finished. The survey of early Hellenistic coinage, however, is complete in itself. A short epilogue has been added by Professor Grierson describing the main features of the coinage after 188 BC.